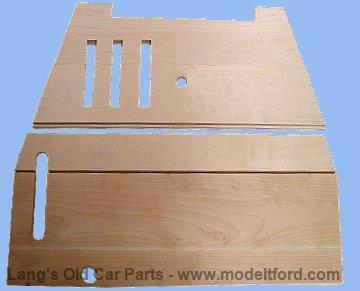 These floor boards are used in the 1919 - 1922 Centerdoor Sedan. After the change to the larger dash shield in 1919, a large notch was added across the top edge of the floor board. These floor boards have a bevel along the tapered edge of the #1, #2 and #3 Upper boards.